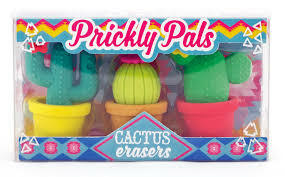 The rugged southwest is ready to help erase the mistakes of the past with your new desert friends, Prickly Pals Cactus Erasers. 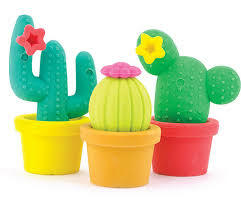 These three “amigos” are standing at your side and ready to erase your pencil made mistakes… desert style. You can even take them apart and put them back together.